We are a leading Manufacturer of anti static bags and anti static zipper bags from Bengaluru, India. We have available with us a wide range of Anti-static bags throughout India which is offered at competitive prices. With enriched industrial experience and knowledge, we are providing an excellent range of Anti Static Zipper Bags. 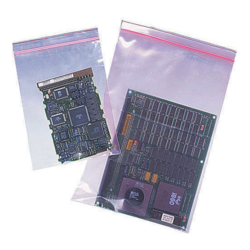 Looking for Anti-Static Bags ?